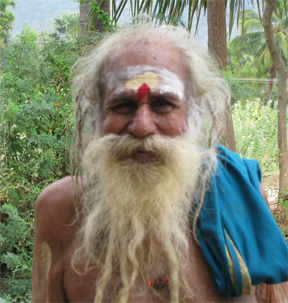 After an intense Mahasivrathri and a pilgrimage to India, Tapasyogi Kalathi Adiyen Nandhi wishes to offer the blessings of Mother India to you as the recordings of the the three Sages. The three Siddhars Sages, masters of higher consciousness bless humanity through their rare appearance on video. Baba has been in tapas for over 45 years. He is a Siddhar master. His mastery is apparent through His egoless nature of utter humility and overflowing love and childlike joys. Wild animals, from squirrels to birds literally walk on His hands with no fear. Baba teaches ahimsa- non-harming and nonviolence; self-mastery and the essence of the mystical Siddhar tradition. 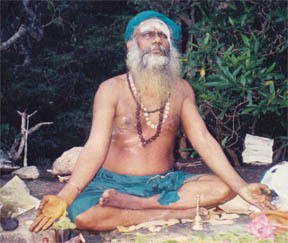 Siddhar Maha Siva Swamy, an enlightened master, has been meditating for over 4-6 decades. He lives in solitude in Nambi Hills, South India. 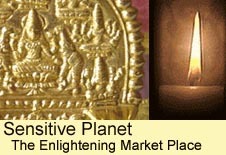 Siddhar Rajaswamy is a master of higher consciousness. He gives His blessings from his hermitage in the Brahma Rishi Hills, Perembalur, South India through the Va Si. Siddhar Rajaswamy blesses the Ariven Community for its vision of saving hundreds of thousands of retired cows and bulls on global scales- to be looked after in sanctuaries. 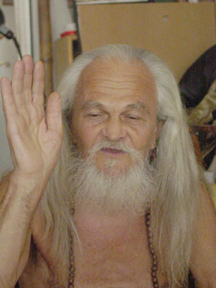 Va Si is an advanced yogic technique that deploys the kechari mudra, samadhi states and, of course, divine grace representing the awake kundalini that alights everyone in its Presence.